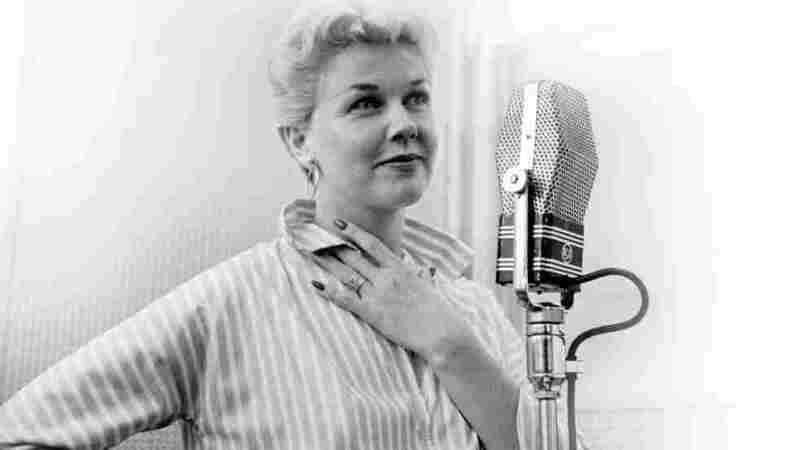 Doris Day: A Hollywood Legend Reflects On Life Day started singing and dancing when she was a teenager, and made her first film at 24. After nearly 40 movies, she walked away from that part of her life in 1968, and started rescuing and caring for animals. Here, she speaks to Terry Gross in a lengthy interview about her career in film and music. Doris Day will celebrate her 88th birthday on Tuesday, April 3. 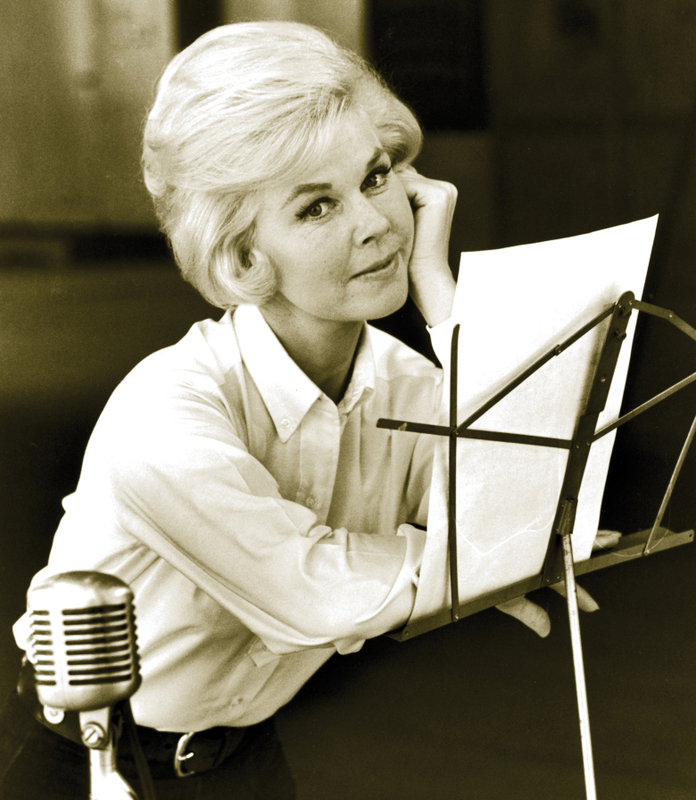 The biggest female box-office star in Hollywood history, Doris Day started singing and dancing when she was a teenager, and made her first film when she was 24. After nearly 40 movies, she walked away from that part of her life in 1968, and started rescuing and caring for animals. Now 87, the actress lives in Carmel-by-the-Sea, Calif. Last year, she released My Heart, her first record since 1967's The Love Album. She's also the subject of a new four-DVD box set of her films — and was named TCM's star of the month for April, which means 28 of her movies will air during prime time this week on the network. Doris Day's hits include "Sentimental Journey," "Till The End of Time" and "I Got the Sun in the Mornin'." Day started her career as a teenage dancer in Cincinnati. She was spotted by a Paramount Pictures talent scout who wanted to fly her out to Hollywood, but a car accident on the night of her going-away party shattered her leg and her dreams of being a professional dancer. As Day recovered from her injuries, she listened to the radio and discovered she had a talent for singing. "I had to lie down, and I was just laying down all the time, and a couple of years went by. And the bones in my right leg from the knee down were not healing," she tells Fresh Air's Terry Gross. "And that went on for a few years. ... And [then] when I started to heal, that's when I started to sing — by myself — in a beautiful club in Cincinnati at the age of 16." The club was 18-and-up, so Day's bandleader lied to the club owners and told them that his young singer was, in fact, a legal adult. "I kept forgetting that I wasn't two years older for years," she says. "As the years go on, and my mother said to me, 'You know what, it just occurred to me. You're not really 30. You're 28.' And I looked at her and said, 'Oh my gosh, I forgot all about that.'" Day's singing career eventually led her to Hollywood, where she got a part in the 1948 film Romance on the High Seas, without knowing she was auditioning for the role. "I was just out in Hollywood singing, and my manager was with me, and we were going to have lunch," she says. "And he drove out to the studio, and I knew nothing about that. We were standing around, and I said, 'What are we doing?' and he said, 'I'm arranging something.'" Day's manager told her that a young man was auditioning for a role in a movie and she needed to help him out. That man, unbeknownst to Day, was actually the film's director. "So I read my lines, and after that, he came up and took my hands and said, 'Darling, you were very good' and I thought, 'How funny' and said, 'Thank you so much, it was nice to meet you.' And with that, we left," she says. 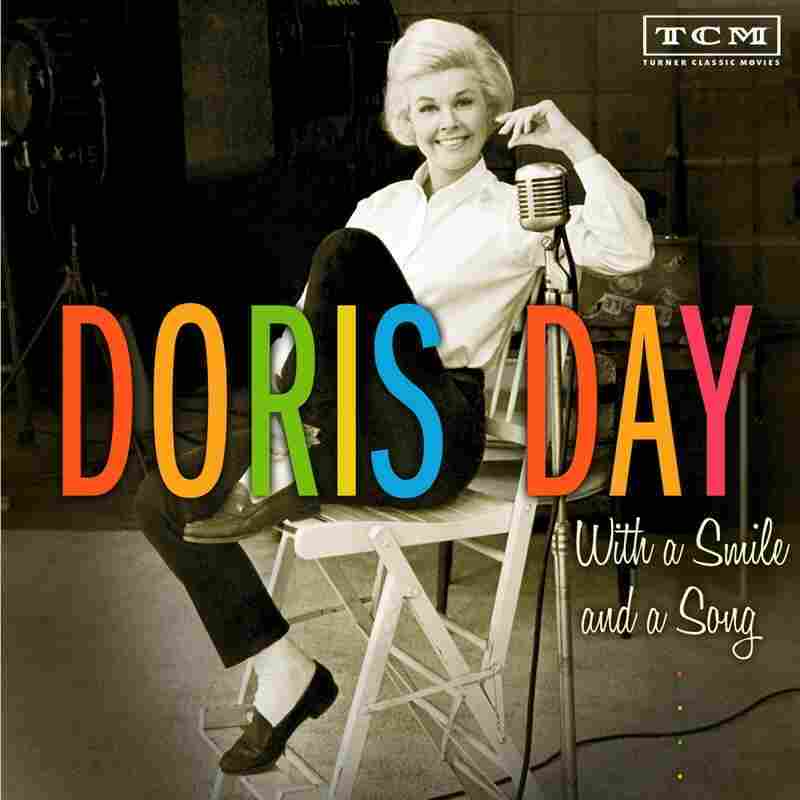 The Doris Day DVD Collection from TCM contains four of Day's movies, including 'April in Paris' and 'Starlift.' The CD collection, pictured below, features songs curated by Day herself. Day was due to leave Los Angeles the following morning, but received a phone call in her hotel room. It was actor Jack Carson. "And he said, 'Miss Day, this is Jack Carson. I know it's early in the day to be calling you, and I heard that you were leaving for New York. I want to tell you something — you are going to be in the best part, the most important part, in the movie I'm doing next. And I want you to be in it,'" she says. Day accepted the offer and soon began working on the film. On her second day of work, she was invited into a studio to watch herself on the screen for the first time. "I went in and I just stood there, and Jack came up to me and he put his arms around me," she says. "And he said, 'Everything is just perfect. And you're the one. And I really enjoyed it today.' And he gave me a big hug." In the '50s and '60s, Day starred in a string of romantic comedies, but frequently played an independent working woman. In 1959's Pillow Talk, she played an independent interior designer opposite Rock Hudson. In Love Come Back, she worked in the advertising world. In Touch of Mink, with Cary Grant, she played a career woman. "I didn't feel different in any of them," she says, "even though they were different. I loved being married, and I loved not being married but working on it. And doing what I was supposed to do and be. That's the way I worked." Day stopped making movies in 1968, in part because she wanted a quieter lifestyle than what was available in Los Angeles. "I came out to Carmel and it was so nice, and I have so many doggies," she says. "And I thought that this would really be nice." In 1971, Day co-founded Actors and Others for Animals, and began to take an active role in animal rescue work with the SPCA. She placed dozens of rescue dogs in people's homes and rescued many on her own. At one point, she had 30 dogs living in her house. "It was another area of the house," she says. "There was a lovely outside place to eat, and it was so pretty and lovely with the fountain and everything. And on the other side of that was where I had the dogs. And they had a big area to run and they had a huge area to play. They were just fabulous and I kept them all." Day currently has six dogs and four cats. "If I come across a doggie who needs a home, that's when I take them," she says. "They're in a special area — an outdoor area — but the ceiling is all glass and they look up there and see the trees. They have two big rooms inside and then one outside. They just love it." "The first time somebody told me it was going to be in that movie, I thought, 'Why?' I didn't think there was a place to put that song. ... I thought, 'I'm not crazy about that. Where are they going to put it? For what?' ... I didn't think it was a good song." "I thought that was wonderful, because it became that because of children. And then I understood it. Because it was for our child in the movie. Then I realized, maybe it isn't a favorite song of mine, but people loved it. And kids loved it. And it was perfect for the film. So I can't say that it's a favorite song of mine, but, boy, it sure did something." "I like to sing love songs. I like to sing others, too. There's so many that I love. I love them and I love singing them."